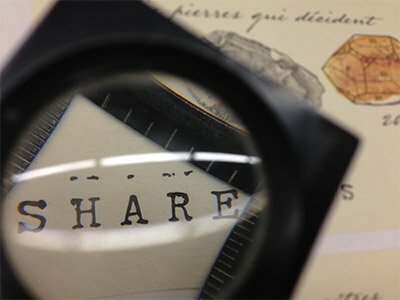 "Shared Notes, one of the most exciting emerging projects in California." 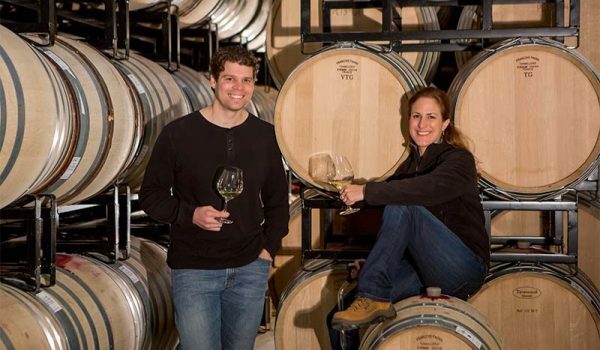 Shared Notes is the winemaking joint-venture between wife and husband, Bibiana Gonzalez Rave and Jeff Pisoni. Both had early desires of making wine, and spent most of their lives doing so. The year 2012, however, marked the first vintage that they produced together. Previously, during the grape harvest, Bibiana and Jeff were like the proverbial ships passing in the night. Early grape picks and late nights at the winery left them rarely crossing paths. Now, Bibiana and Jeff do cross paths—to discuss ideas and taste samples. You can sometimes catch them in front of a grapevine, the press, a fermenting tank, or a barrel...most likely with a glass in hand. "These are both going to be very long-lived whites." Click here to view our fact sheets. Style: A blend inspired by the cellar masters of Bordeaux and their dedication to Sauvignon Blanc and Semillon. Heady aromas of white peach, tangerine, blood orange and citrus zest are all delicately complemented by notes of fresh acacia. Les leçons des maîtres embraces the palate with a textural richness courtesy of Semillon and the time it spent aging in barrel. The lengthy finish is redolent of peaches and honeysuckle, a perfect example of the beautiful marriage between racy Sauvignon Blanc and luscious Semillon. 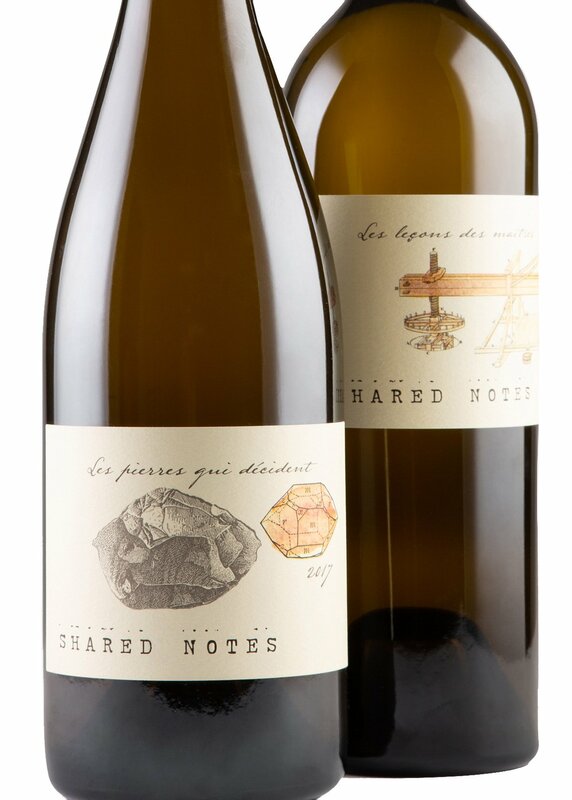 Style: A Sauvignon Blanc inspired by the pure and focused wines of the Loire Valley, where the rocks "decide" the style. Enticing complexity meets dazzling linear acidity in the 2017 Les pierres qui décident. Crisp granny smith apple, zesty lemon, and mouthwatering lemon meringue pie give way to a hint of lightly toasted French oak to tease your palate. The long, persistent finish leaves you with the perfumed taste of bourgeon de cassis characteristic to this style of Sauvignon Blanc. 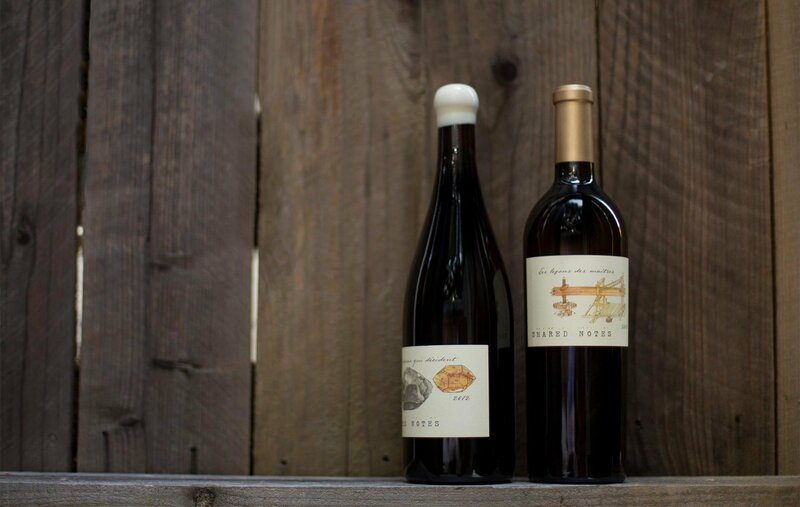 "Les Pierres qui Décident is one of the most distinctive Sauvignon Blancs being made in California today." to see our simple shipping solutions. on all orders over 12 bottles. Join our list and you'll join a small, select group of people interested in our limited production wines. With each release, you will gain first-hand knowledge of our wines and enjoy the benefit of having your exclusive wine allocation. 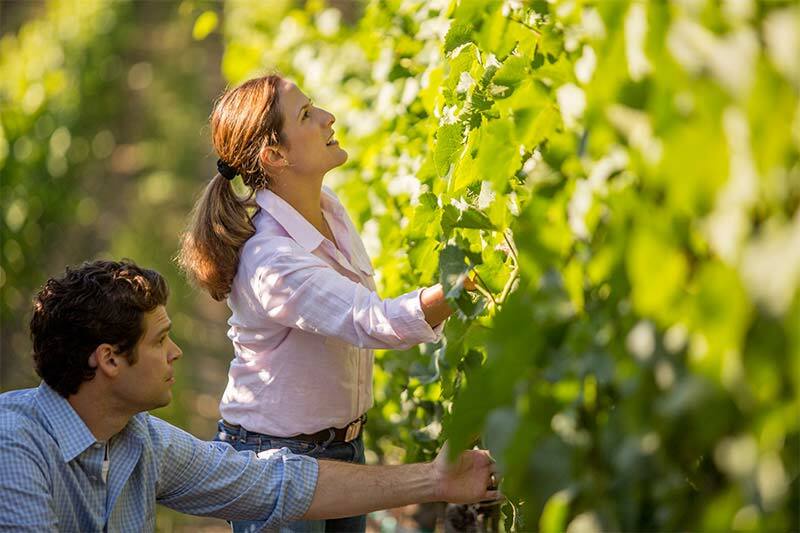 Shared Notes is the winemaking joint-venture between Bibiana and Jeff Pisoni. © 2019 Shared Notes. All rights reserved. Terms and Conditions.